The Hooded Seal has a very peculiar look to it. They can grow up to 8 ½ feet and about 900 pounds. They seem to have some type of grayish growth on their forehead. This hood doesn’t develop until it is about 4 years of age. It can be blown up and that often scares off predators. They have a silverish coloring to them that has various areas of dark marks. 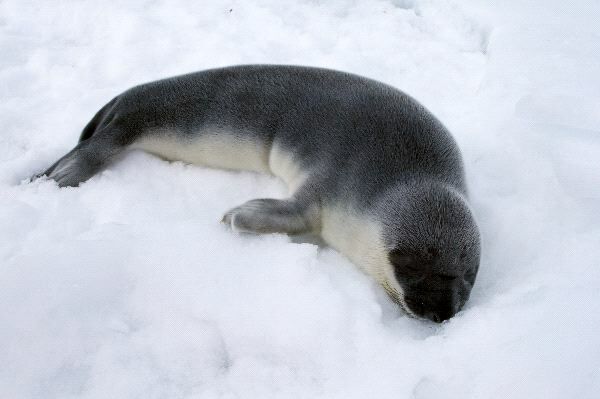 When you look at the markings of a Hooded Seal you will find that they are all very unique in appearance. The Hooded Seal can live up to 35 years in the wild.